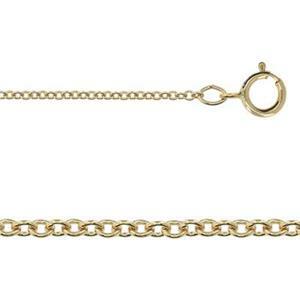 Cable chain is the most basic, popular jewelry necklace chain style. These chains have uniform, small round or oval links. 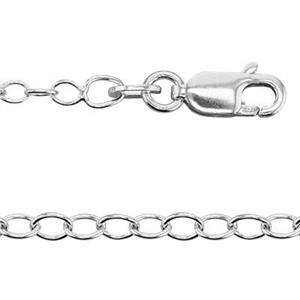 Cable chains are the most affordable jewelry chains on the market. They are made in extremely small diameters as fine as 1mm, or less. Or, cables can be in chunky, large sizes for men's jewelry and heavyweight pendants. Often purchased with metal blanks. Our prices on gold-filled and silver cable chains are extremely competitive. Sort by price and see for yourself.